TableMapp brings your restaurant to life with a dynamic birds-eye-view of your restaurant. 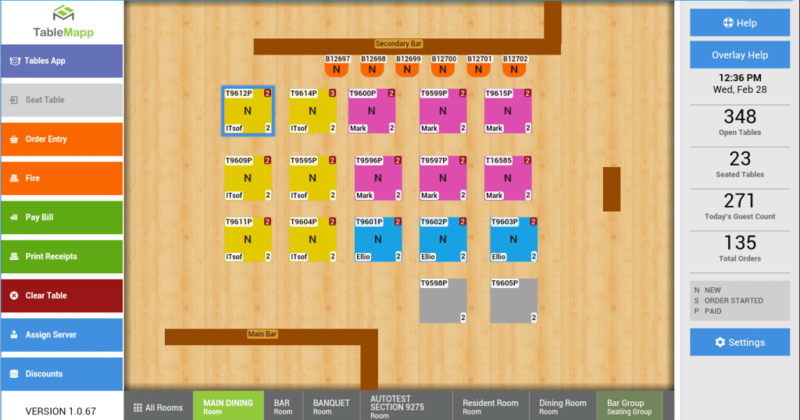 Customize your table map as you see it in your restaurant, whether you have 5 tables or 5 banquet halls, TableMapp has you covered. TableMapp easily integrates with Clover’s Tables & Register applications as well as our Seed FSR application for Full-Service Restaurants. A quick glance at your table map will tell you the number of open tables, who is serving each table, the number of guests at each table, guest counts, daily order totals and so much more!